Re: NO CHL, NO Car, How Do I Get to the Range legally? Have you checked the gun policy of Houston Metro? They allow licensed carry, but may not allow unlicensed carry. Have you considered taking a taxi? Probably would cost more (considering return trip as well), but would be a more direct route. First thought would be to invite a friend along, though. He/she drives, & you pick up the range fees. Mike S wrote: Have you considered taking a taxi? Probably would cost more (considering return trip as well), but would be a more direct route. You may also gain some good knowledge by finding a friend who has experience shooting handguns. There are many experienced shooters out there who are happy to help people who are new to shooting. Mike S wrote: First thought would be to invite a friend along, though. He/she drives, & you pick up the range fees. Yep. There may be other legal ways to do it, but if caught, I bet all of them involve you sitting in jail while the cops wait for the DA to get back to them. 46.15b3 seems to answer the question. Going between one's residence and the premises where the sporting event takes place is not covered by 46.02 since 46.02 is specifically excluded by 46.15b3. Since 46.02 provides prohibitions and 46.15b3 makes it inapplicable there remains no further statute that can be violated by carrying your handgun directly enroute between your residence and the premises at which the sporting activity takes place. And the mode of transportation seems irrelevant nothwithstanding any other prohibiting statute such as school transportation. N.R.A. Patron Member Please Support the N.R.A. Three days before you intend to shoot at the range disassemble your gun and ship it and your ammunition separately to the range office. After you are through shooting repack the disassembled gun and separately packed unused ammo and ship it back to yourself. You have to go through an FFL. Ok, then ship it to the FFL and pay him to deliver it to you at the range. Then just reverse the process. thetexan wrote: Three days before you intend to shoot at the range disassemble your gun and ship it and your ammunition separately to the range office. After you are through shooting repack the disassembled gun and separately packed unused ammo and ship it back to yourself. And it only took you a year to come up with that idea! Leave the man alone. 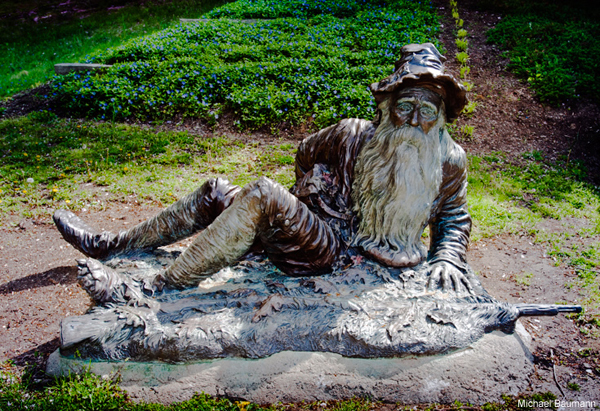 He was having a Rip Van Winkle moment.